Now Newsweek and The Daily Beast report that this stock purchase was made as Visa was engaged in a full-court press to lobby Pelosi to stop legislation to curb credit-card swipe fees to vendors. In 2007, Visa used an army of lobbyists to try to influence Pelosi, including one of her former advisers, Dean Aguillen, Newsweek reports. Aguillen left Pelosi's office to work for the lobbying firm Ogilvy. By law, he could not lobby Pelosi's office directly, but he did lobby Congress on the credit card issue and offered advice to other lobbyists on that particular mission. In addition to exploiting the revolving door between Congress and lobbying firms, Visa's political action committee made a $1,000 donation to Pelosi's re-election campaign, Newsweek reports (Visa headquarters is in Pelosi's home district). Two days after that donation was made, Pelosi met with Visa executives in her office. Aguillen also contributed $1,000 to Pelosi and another $1,000 to the campaign arm of the House Democratic caucusin the first half of 2008. The former speaker maintains she wasn't influenced by Visa's lobbying efforts or her husband's stock purchases. "I will hold my record in terms of fighting the credit card companies as speaker of the House or as a member of Congress up against anyone," she told "60 Minutes." Indeed, the swipe fee legislation opposed by credit card companies eventually passed. Additionally, in 2008 -- before the Pelosis' stock transaction -- the House passed the Credit Cardholders' Bill of Rights over the objections of the industry. 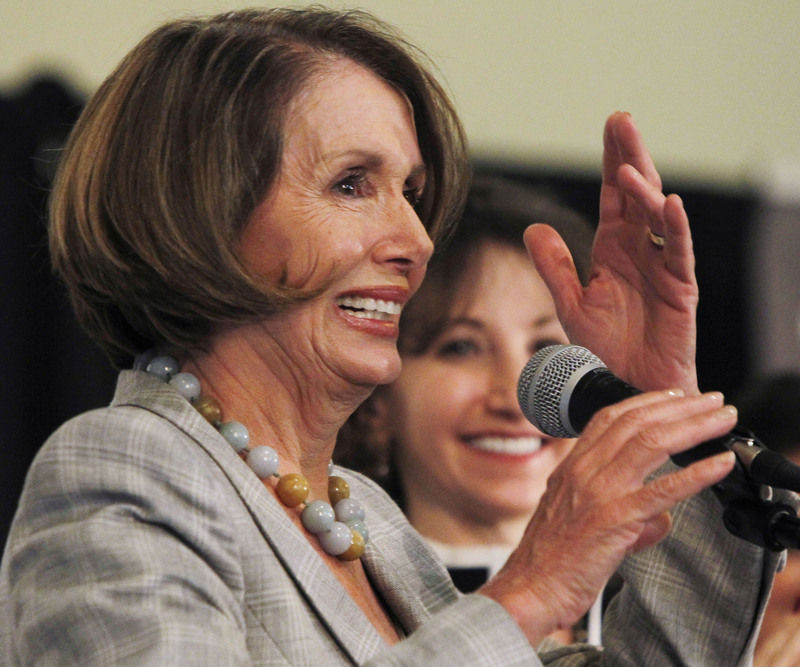 Drew Hammill, a spokesman for Pelosi, said her husband Paul Pelosi's finances are kept distinctly separate from the congresswoman's legislative work, Newsweek reports. Pelosi is far from the only example of a legislator about whom questions have been raised. "We know that during the health care debate people were trading health care stocks," Peter Schweizer, a fellow at the conservative Stanford think tank the Hoover Institution, told "60 Minutes." "We know that during the financial crisis of 2008 they were getting out of the market before the rest of America really knew what was going on." With the new focus on congressional "insider trading," legislation to stop it is gaining momentum. Democratic Reps. Louise Slaughter of New York and Tim Walz of Minnesota have introduced legislation to stop insider trading in Congress. But the bill, which has been introduced before, has never had more than 14 congressional sponsors. Today, however, Sens. Scott Brown, R-Mass., and Kirsten Gillibrand, D-N.Y., and said they will introduce the legislation in the Senate. Several other lawmakers are now saying they could support the measure, Roll Call reports, including Pelosi.